my love affair begins. – static confusion. Fourth day in Australia and with jet lag settled I feel – for the first time – far away from home. Melbourne is a beautiful city – fashionable, cultural, artistic, rustic and mildly fast. It has elements that most major metroplois’ have. A central business area, convenient transit, the ‘it’ bars, fine cuisine, great patios and a myriad of people. But the vibe here is not that of a major metro. It has its indy hotspots, hidden treasures off of laneways, splash of tourism, green parks and the silent serenity of being built around a river. It’s a world’s city, indeed. Alright, so how can I get all of this from a mere 4 days? I’ve done some minimal sightseeing, basic exploring and socialized with some locals. To be honest, just from reading about Melbourne and absorbing the eclecticism filling the streets there is just an energy about it that I’m drawn to. My love affair has definitely begun. My goal is to write each day about my experiences here. Or at least every couple of days. From the architect to the beer to the coffee to the music to the fashion to the history to the people (yes, especially the men!) to my own internal thoughts. 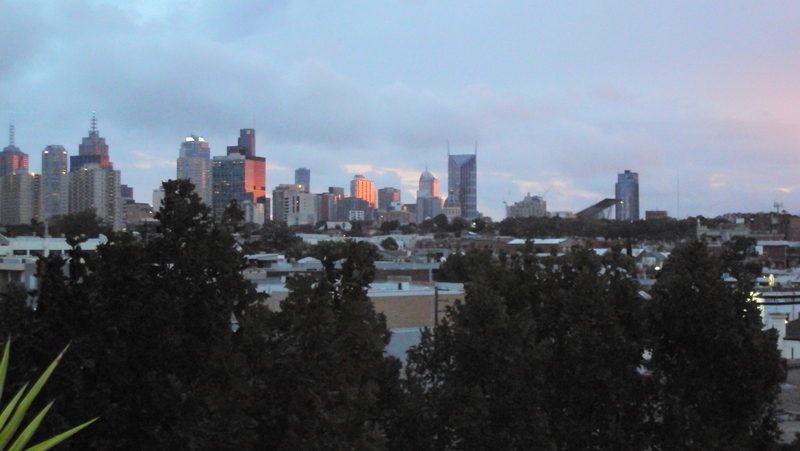 And with that – let’s go fall in love with Melbourne. Next Post lost and found.